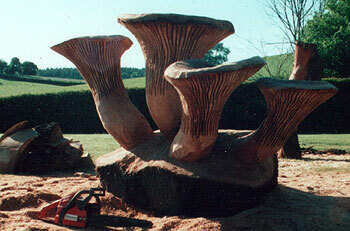 Oak crown carved into Chantrelle mushrooms. Height: 6ft. Weight: 2 Tons.